Right-wing WI Gov. and never-compassionate-conservative Scott Walker continues to try and obtain more state power over life-preserving public services to humiliate, punish and otherwise strong arm lower-income people into the workforce he has not expanded through mandatory drug-testing and other coercive measures. Screen these Medicaid applicants [some single adults, 18-49] with questions about illegal drug use and actually test some of them for it. Refusing the test will mean the applicants go at least six months without state coverage. If they test positive, the individuals could receive treatment. And then extend these practices and others to food stamp recipients - - despite known proof of their costly failure - - along with lifetime benefit limits reduced to adults four years - - all aimed at getting people off public assistance in Wisconsin job markets that have been stalled during Walker's tenure and are principally creating work at the lowest end of the wage scale. A closed loop which Walker is clueless about genuinely breaking, except as the verbiage might help his 2018 re-election campaign with core supporters and ultra-right donors. We know Walker has has no real interest in or connection to poor or victimized Wisconsin citizens - - such complex matters go far beyond the simplistic, bumper-sticker level politics that Walker has practiced for an entire career - - whom he has nickel-and-dimed deeper into poverty by slicing benefits and enforcing a starvation-level minimum wage he also billed as "lame" during six+ years of failed job creation as Governor. Public health experts in Milwaukee and around the nation now see a direct link between childhood trauma and an incapacitated workforce. Improving the latter is impossible without addressing the former. Children exposed to abuse, violence and neglect may not be able to concentrate in school, much less job training programs. They often grow up without the temperament to coordinate with customers and co-workers. They struggle with sleep disorders and register high levels of absenteeism. And there is more in a related, compelling Journal Sentinel report today about the lives of the poor whom Walker stubbornly avoids and dismisses. 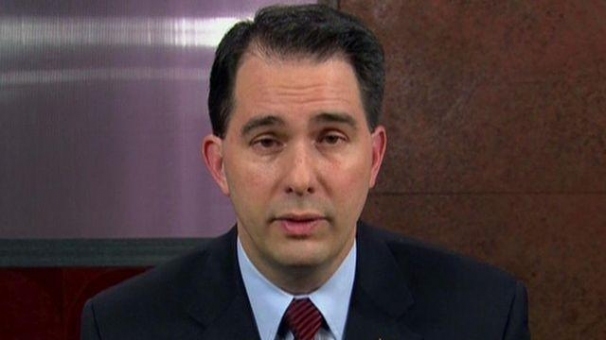 Walker's fresh appeal to an equally uninformed and heartless Donald Trump for federal permission to drug test public aid recipients is another Walker pre-election dog whistle to the base GOP constituency he motivated during the 2014 election with a crude metaphor about laziness, and to which he also whistled shouted clear as a bell to upper-income suburbanites in an earlier gubernatorial campaign about preventing Wisconsin from becoming another Milwaukee. This is what happens when ideology and ignorance brew up a craven, textbook GOP political stew that is served again and again by a Governor motivated by political power and partisan advantage, but without a moral compass. We need drug testing for state legislators who show up long enough to collect the new increased per diems but do nothing productive other than b.s. with each other.